With bright reds and yellows—and even the occasional white—poppies are very bright and colorful. 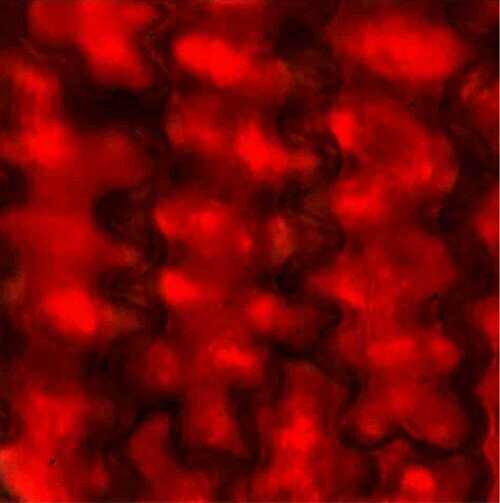 Their petals, however, are also very thin; they are made up of just three layers of cells. University of Groningen scientists Casper van der Kooi and Doekele Stavenga used microscopy and mathematical models describing how light interacts with petals to find out how the vibrant colors are created. The results will be included in a special edition of the Journal of Comparative Physiology A, which focuses on the relationship between insects and flowers. Van der Kooi's main research focus is the evolution of flower color, and the interaction between flower color and pollinators. This led him to investigate how petals produce their visual signals. He explains why the flowers of poppies (Papaver, Meconopsis and related species) are interesting: "The common poppy is an extreme case, it has very thin petals that nevertheless cause a very high scattering of light. Poppies also contain high concentrations of pigments." The researchers collected petals from different poppy species and studied their structures using different techniques. They discovered that the pigment was only present in the two outer cell layers and not in the middle layer. The pigmented cells had a fascinating shape, with many invaginations that made them look like complicated jigsaw pieces. "This creates many air-filled gaps between the cells, which cause the reflection of light on the cell/air boundary," says Van der Kooi. Furthermore, the petals contained huge amounts of pigment. "They are among the highest concentrations that I have ever measured in any flower." Indeed, the characteristic black markings at the center of some poppy flowers are caused by extreme concentrations of red pigment. Van der Kooi concludes that dense pigmentation together with strong scattering causes the striking poppy colors in the red parts of the petal. 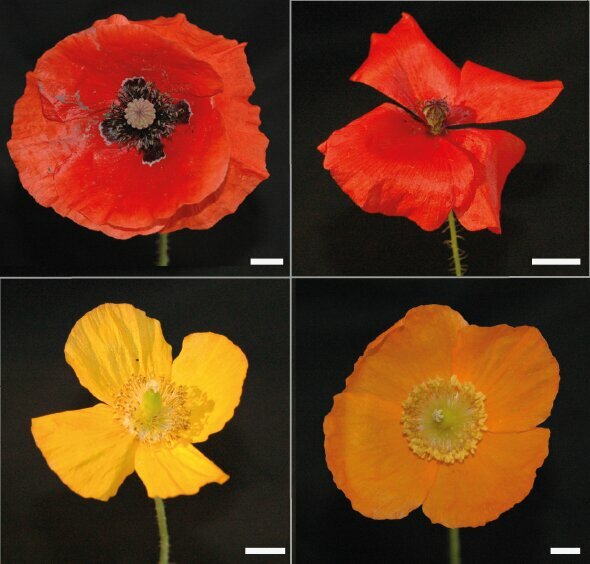 The new findings can be linked to previous work on poppy color evolution. Intriguingly, poppies in the Middle East reflect no ultraviolet light, while the same species in Europe do. This difference may be due to their preferred pollinators. "In Europe, poppies are pollinated mostly by bees, which cannot see red very well; however, they will pick up ultraviolet." In contrast, poppies in the Middle East are pollinated by beetles that do see red colors. "Moreover, previous studies have shown that the black spots at the heart of some poppies mimic the presence of a female beetle. This is a way for the flowers to attract male beetles. A case of sexual mimicry, as occurs in other plants such as orchids," explains Van der Kooi. The next question will be how these jigsaw-like cells and the air gaps that cause the efficient scattering have evolved. 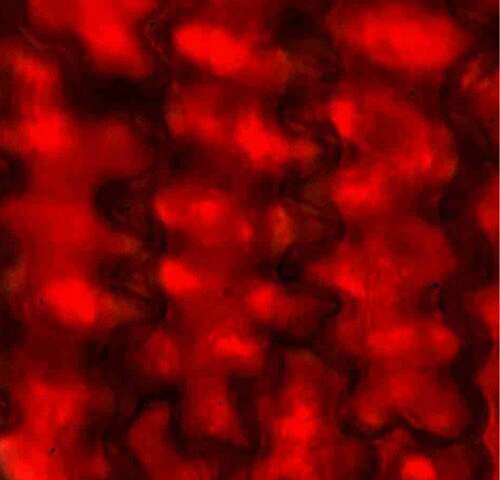 "These cell shapes are commonly present in leaves, so that might be a clue." 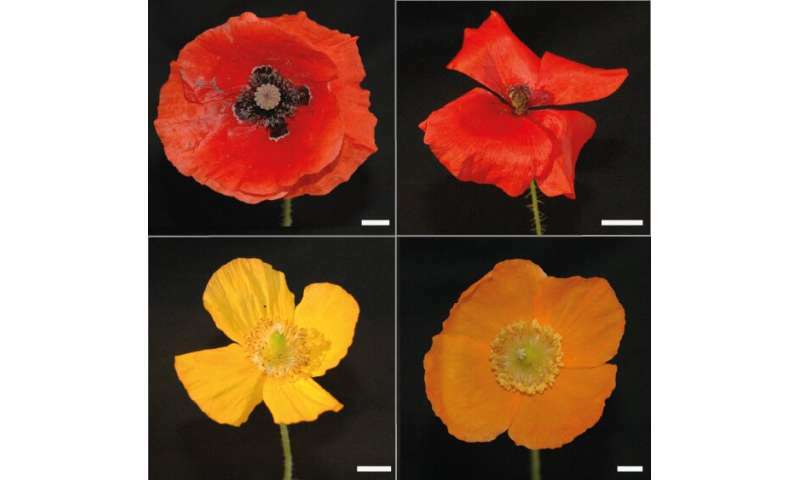 Furthermore, results suggest that poppies evolved ultraviolet signals when they began growing in more northern regions. It makes the evolutionary history of these brightly colored flowers an interesting object of study.